Hi everyone. 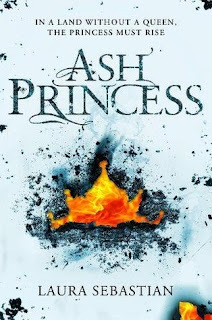 As you can see, I am taking part in the blog tour for Ash Princess which is hosted by Pan Macmillan South Africa. You can also find a list of trigger warning here which have been provided by the author. 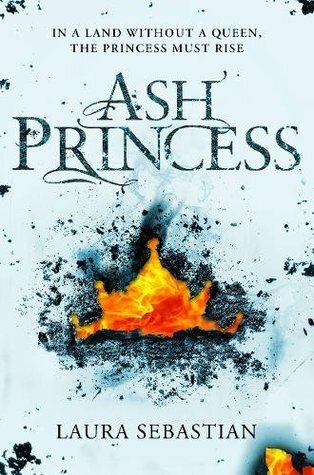 Ash Princess was one of my most anticipated releases of the year. I remember first hearing about this book by some people you got a whiff of it last year. I rushed to my Goodreads and added it to my want to read list immediately. It's a couple months later and I have read the book. Honestly, it was everything I expected and more. I had high hopes that I would at least enjoy it but I didn't expect to fall absolutely in love with the book. It wasn't the most original, but what book really is. What did I like in this book? Well, besides the entire thing. I loved the rich plot. It pulled me in and kept me there for a long time. The book never got boring nor was it consumed by its tropes. I loved how this book felt like fresh air. It took something that was overused and turned it into something fresh and different. I found myself searching for books that made me feel the same way as this book. This was one of the few books that actually made me cry instead of just choking up. The emotions were rich in this book and it felt as if I was there with the characters and experiencing everything that they felt. The writing was amazing. The world building was done really well. Every time I picked up this book it felt as if I was transported into this harsh but beautiful. I could feel the wind against my skin but I could also feel how Theo's shame and guilt clung to my skin like humidity. I absolutely adored this book because when it comes to my reading checklist, it ticked almost all of them. It is the perfect book if you want to an emotionally rich book but also a book that takes history and puts it in a magical world. 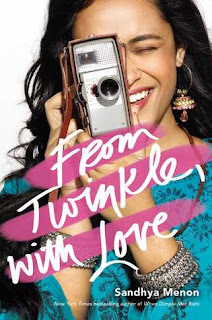 Laura Sebastian has done an incredible job with this book and I am anxiously awaiting the next book in the series. Until then, you can find me rereading the pages of this book. I write YA books and I'm also entrusted with taking care of other people's children. I write books about girls who are strong in all different ways, usually with a healthy dollop of magic and a few dragons. I live in NYC with my extraordinarily fluffy dog, Neville.